It’s a unique addition to your Wedding, Convention, Bar Mitzvah, Sports Event, Party, or any Special Gathering. 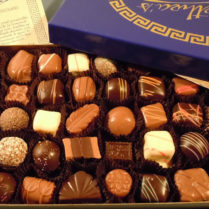 Just order, and serve. 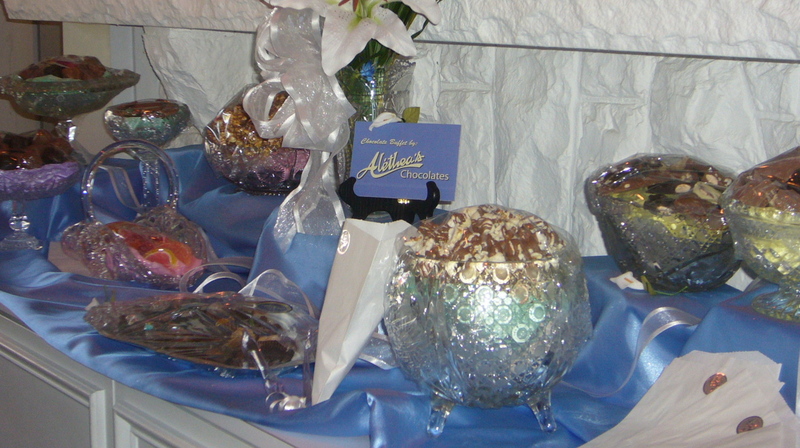 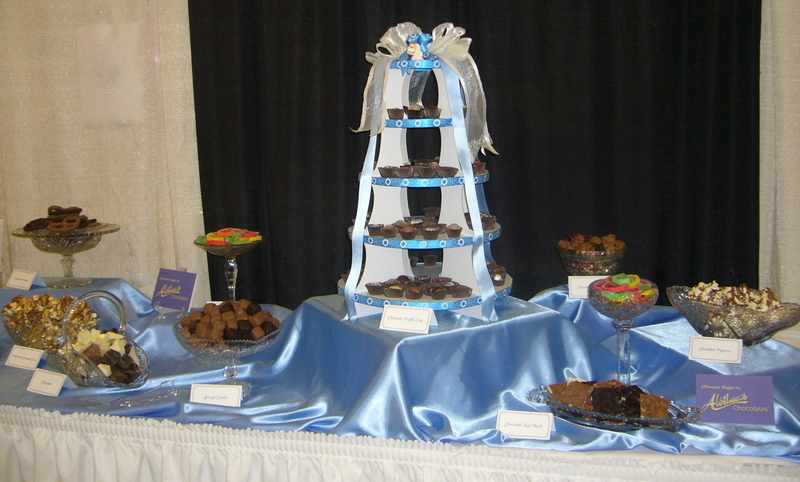 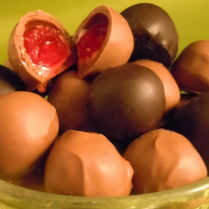 Your guests or co-workers, will love the opportunity to sample an array of Alethea’s famous confections. 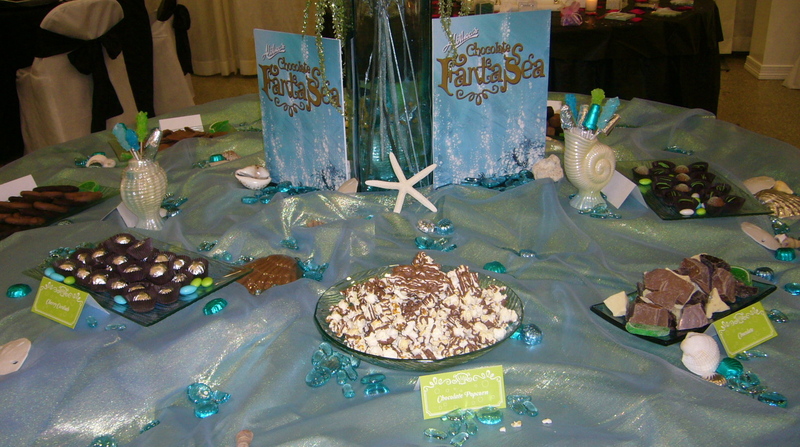 To make it extra special, decorate for your theme, & provide some small take home bags or containers. 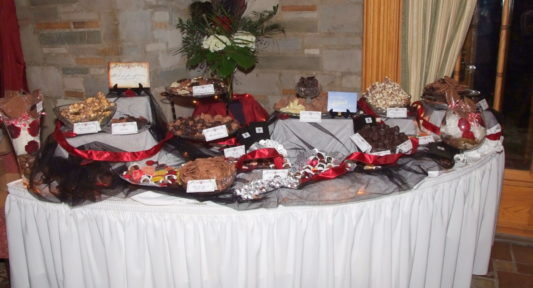 Whether your event is social or work related, the Chocolate Buffet will be a delicious, & welcome addition. 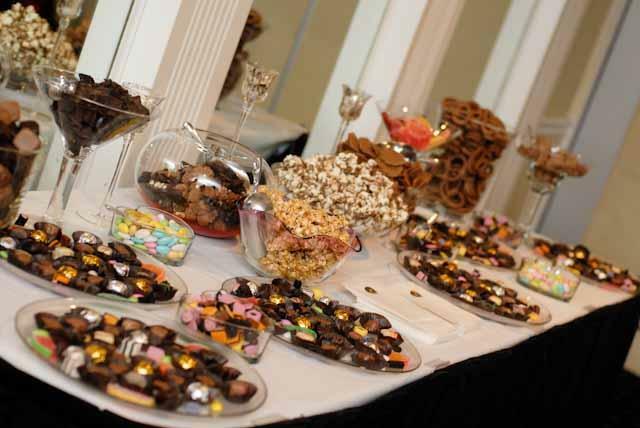 For large groups, order our Signature Buffet. 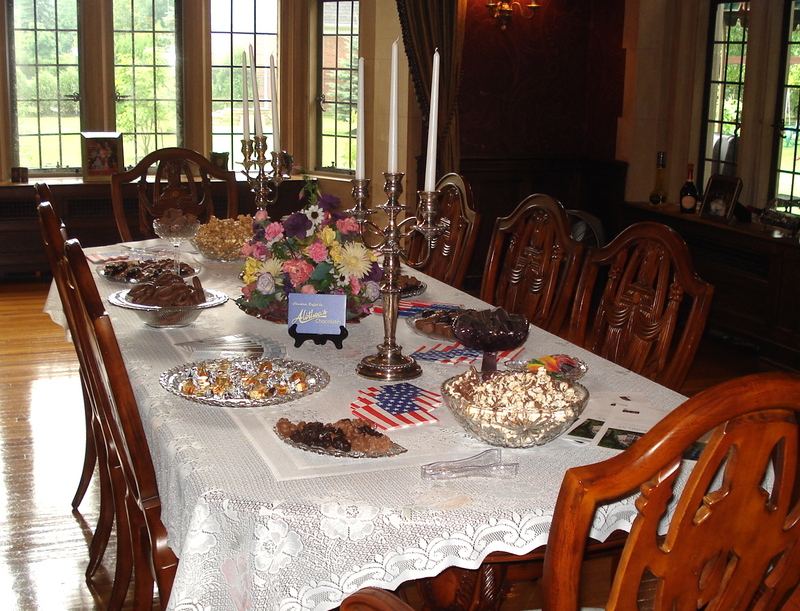 For smaller gatherings, try the Mini Buffet.